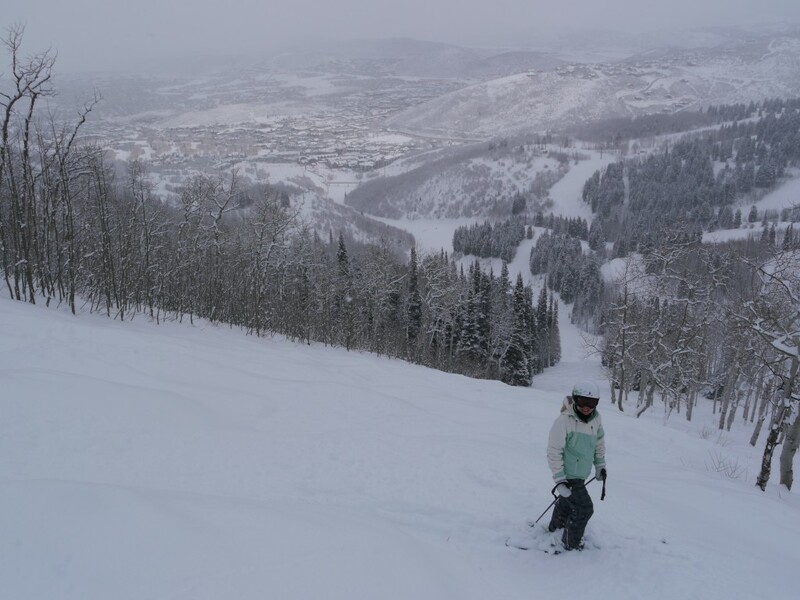 We have been skiing Park City since 2003 which was the year after the Olympics were held there. I actually skied there for a few days back in the early and late 80’s when the old 4-passenger gondola was still there. 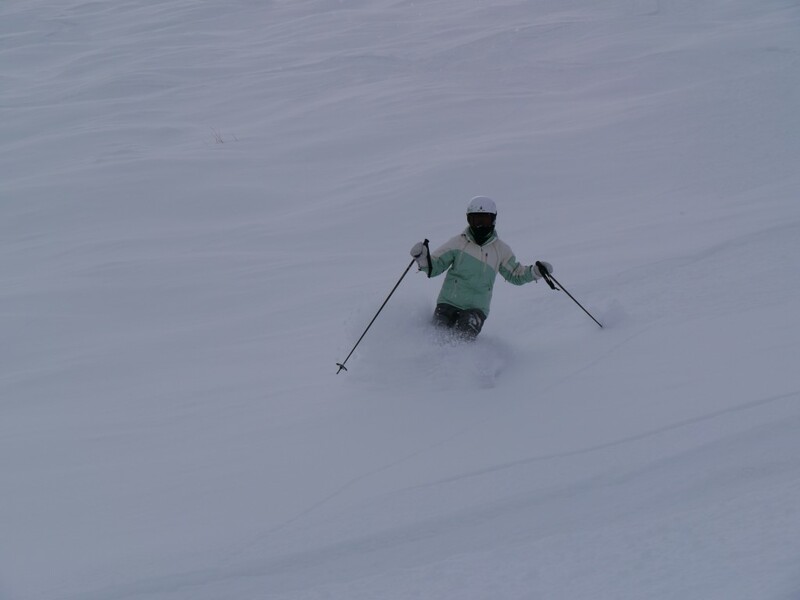 I remember there being so much powder on one day that I couldn’t even get any forward momentum on the narrow skis I had back then which had no flotation. 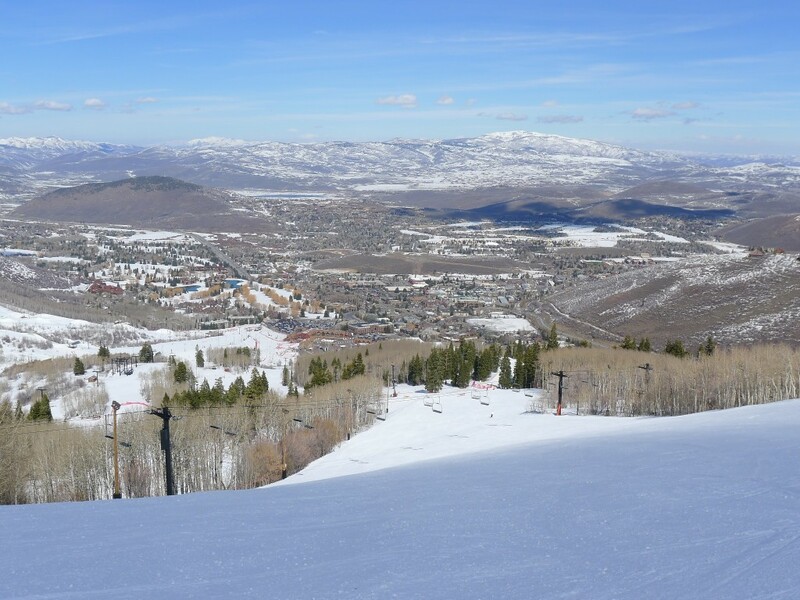 Park City and The Canyons are now linked via a new much more impressive gondola, but we skied them before the merger so are considering these as two different areas. Besides, they are very different in terrain and character. 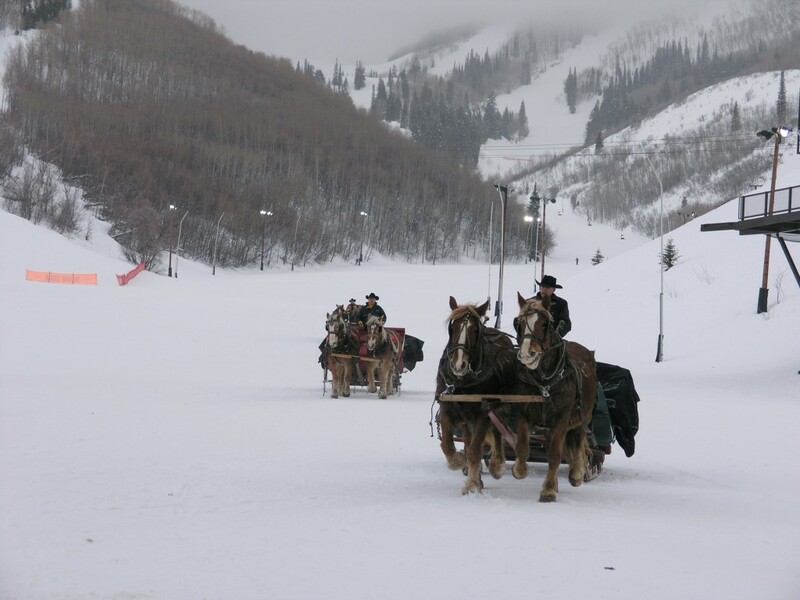 We always have fun at Park City and usually end up skiing there at least one of the days in a week-long trip. We think of it as one of the easier days on our trips. It’s mostly characterized by the many very wide groomers and bump runs, and the forests of mostly aspen trees on the front side. The Jupiter Bowl area and Jupiter Peak are where the steeps are, but to me these are notch below what can be found at The Canyons and the really good stuff off Jupiter Peak requires a substantial hike. We usually start off the day on King Con, which is unique in that there are 13(!) blue runs off it — and no other colors of runs. 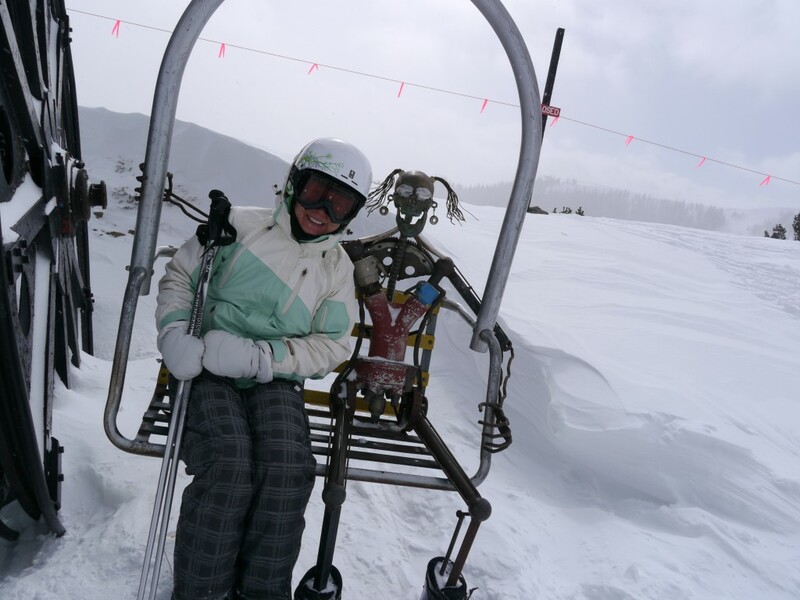 If you are an intermediate skier this is the place for you. Next up is the Silverload 6-pack chair, which can get very crowded but has some slightly longer runs. This brings up one of the issues I have with Park City which is that the vertical on each lift is modest, so the runs tend to go by quickly. The Motherload lift is nice and long but until now it was a slow triple so we tended to avoid that one. It has now been replaced with a high speed quad so that area should get more traffic now with the shorter ride back up. Moving on to the best part — Jupiter Bowl. This is a large area of bowls, chutes, and trees served by a single double chair 🙁 . On a powder day that chair develops a large line of course, but the skiing is great. 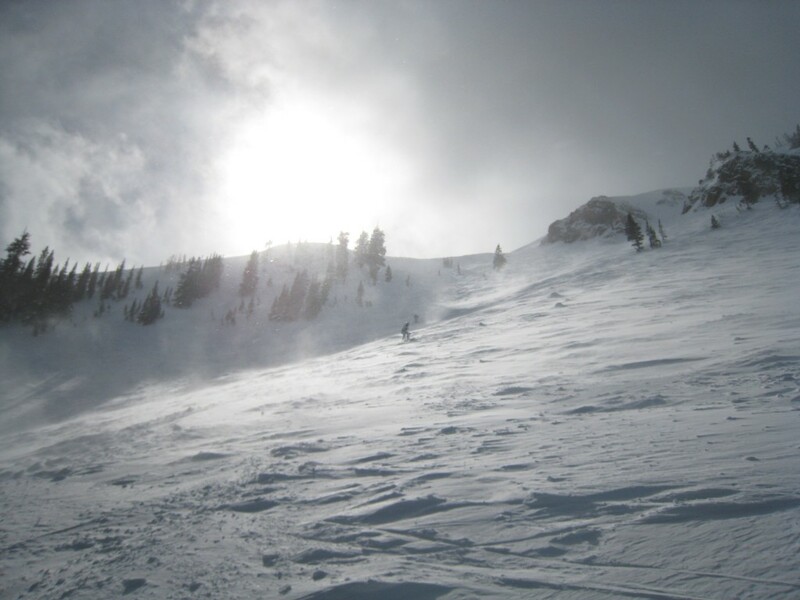 A very short hike up to Scott’s Bowl leads you to some of the best and least tracked-out powder in the area. On the other side of the chair Fortune Teller and Silver Cliff are seriously steep. 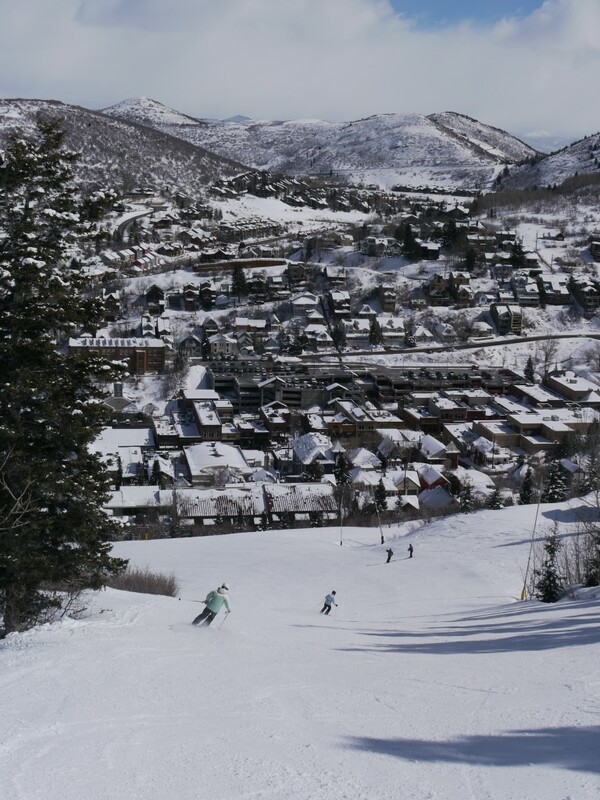 Sometimes we head over to Payday and ski into downtown Park City for lunch. There is a great Brazilian restaurant right at the bottom of the lift that we love. The resort restaurants have definitely been below-par experiences and the lodges are crowded so if we have the time we definitely like to hit the Brazilian place up. It should be noted that since Vail bought the resort, they have already completely replaced one restaurant and have remodeled another so at least the facilities will be improved. Unfortunately that is certain to come with the Vail prices so I’m not sure if that is better or not! It’s fun to ski into the town and it’s a great view, but the ride back on the Town Lift is REALLY long and slow though, so it eats up a lot of time. The top is near the top of the Payday lift. That area is pretty flat so we usually only do one run there. After lunch we usually head over to McConkey’s which is on the other side of Jupiter Peak. This is our second favorite area of Park City. 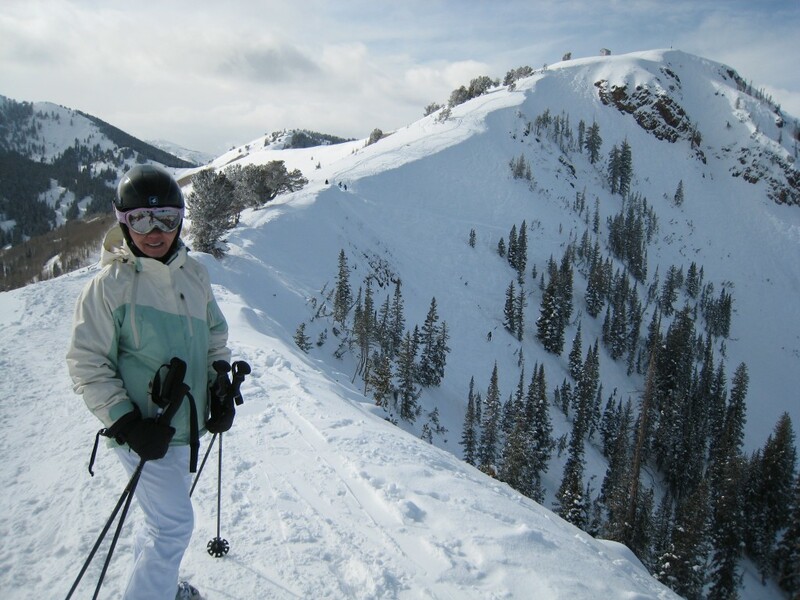 A short hike to skier’s right up the ridge toward Jupiter Peak leads you to a large bowl area “o-zone” and “p-zone”. There is some great snow in there because of the hike. On the other side of McConkey’s, the Black Forest glades are a blast. 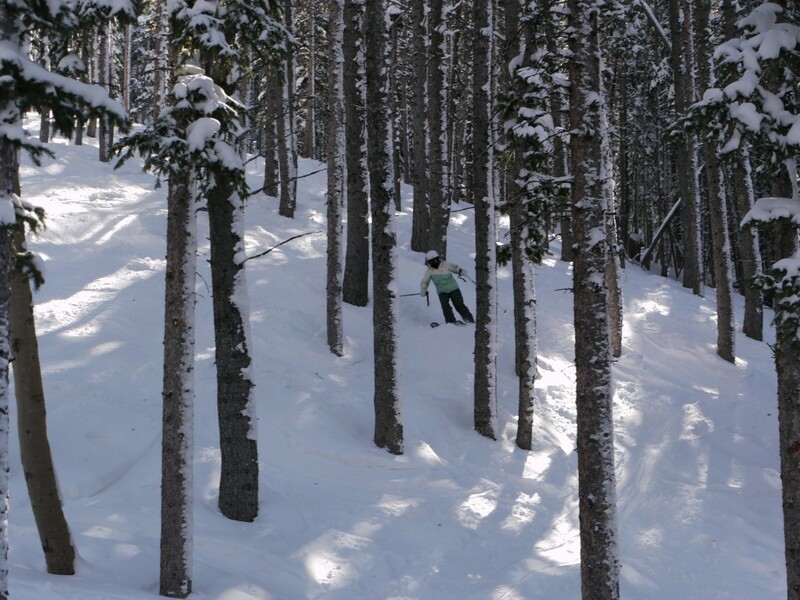 Unlike most conifer stands in Utah, these trees are widely spaced and it’s a fairly easy and fun run. On the way back we hit Pioneer for a couple of runs. This has some steeper blues, but it’s another slow triple. 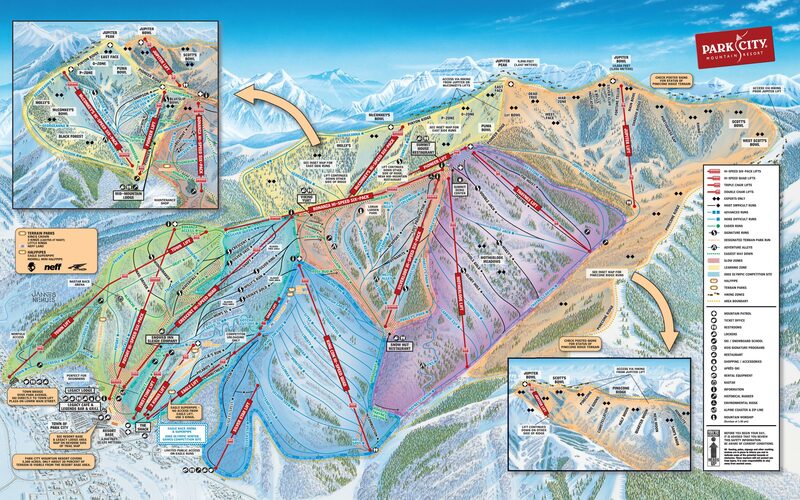 There are 6 long black runs from Crescent lift. They usually groom a couple of them, so even on a day when the snow is icy or sticky these are some good steep groomers. 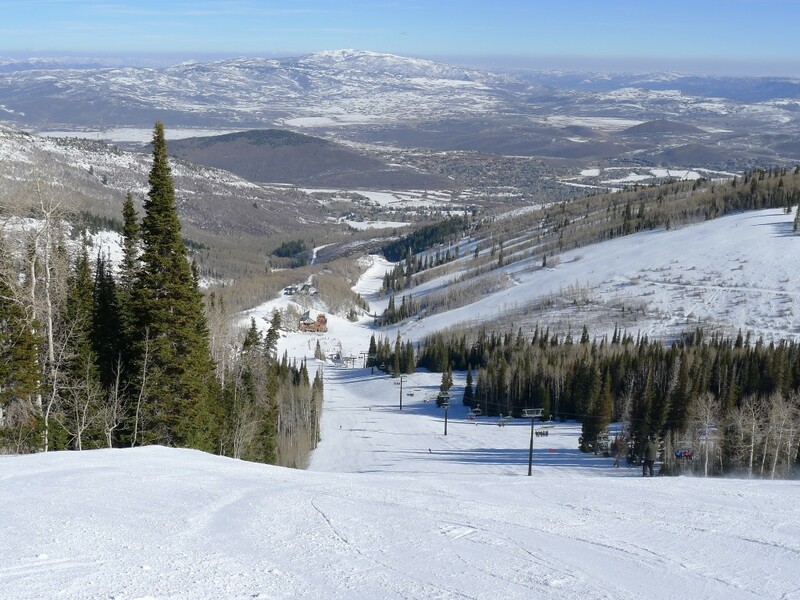 Along with the other Park City resorts, these are the easiest accessed ski resorts from a major airport in North America. We will probably be back in 2015-16 to check out the new interconnect with The Canyons and to see what Vail has done with the place. It is on our Epic pass, so it won’t cost us a lift ticket, and being fairly close to Tahoe I’m sure we will be back there many times in the future.